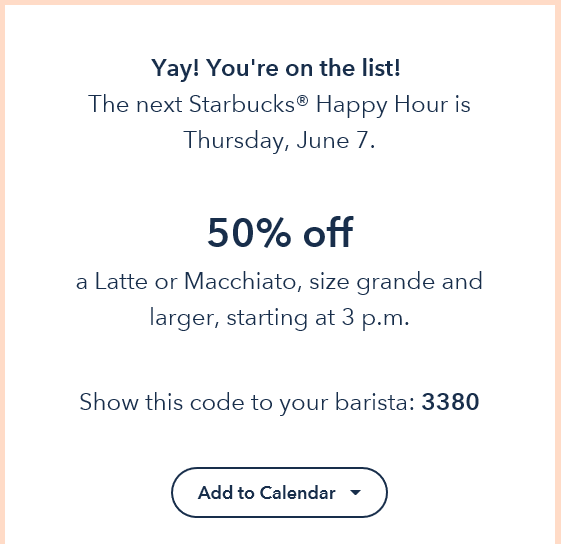 Starbucks is offering up 50% Off Latte or Macchiato (grande or larger) after 3PM today. To get your coupon, just sign up for their newsletter. This deal is valid today, June 7th only.